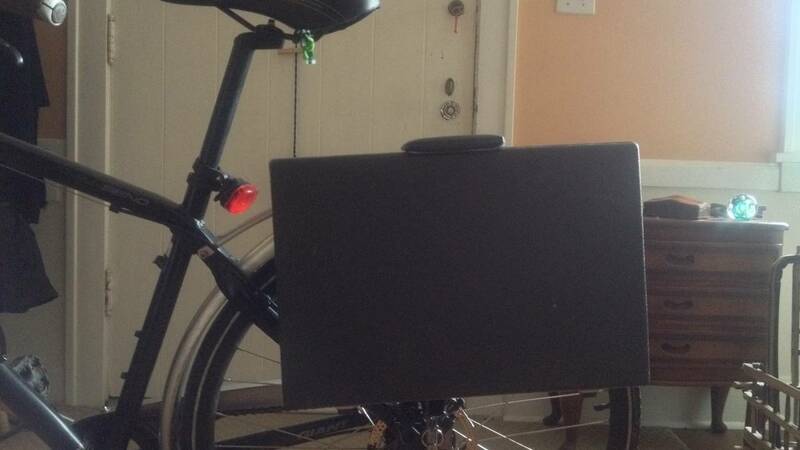 This was a weekend project from many years ago — an old, beat-up briefcase that used to belong to my dad converted to mount on my bicycle's rack like a typical pannier. I decided it was time to take a few photos and do a better job of documenting the process. 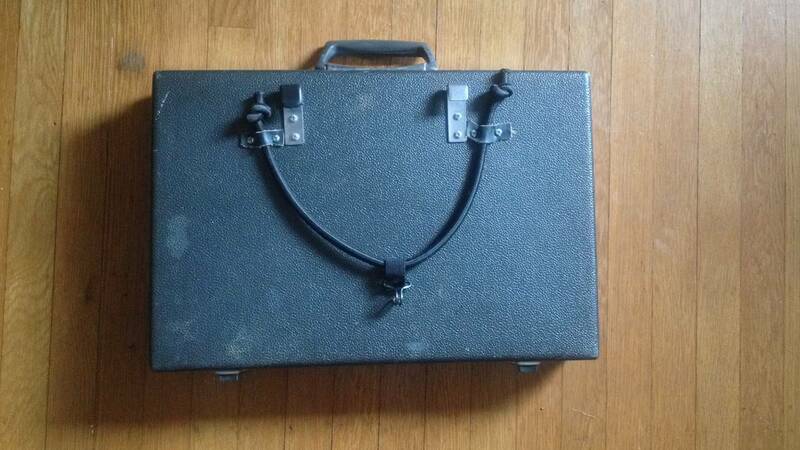 A briefcase, obviously. 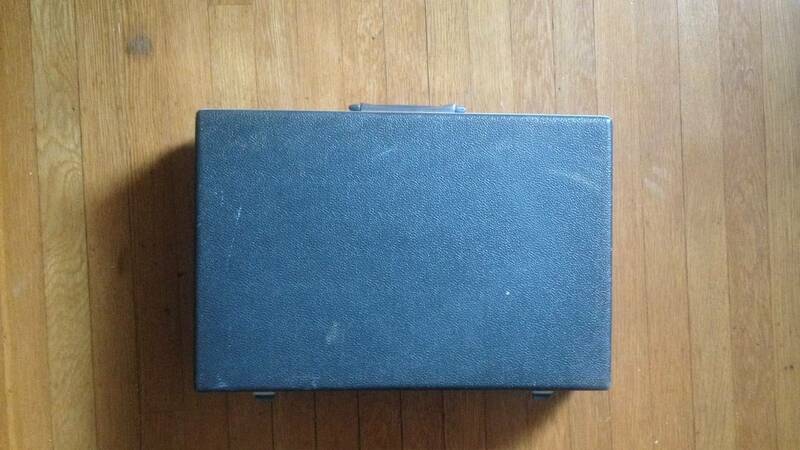 You can find some interesting vintage briefcases on Etsy or Ebay sometimes, but the prices jump around. 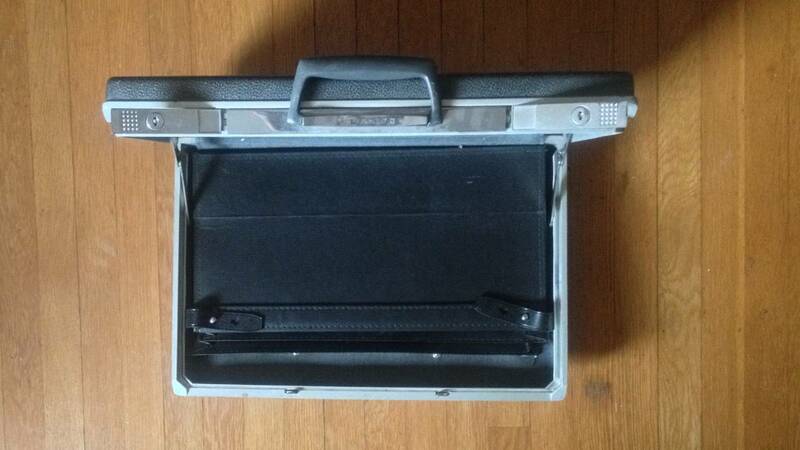 This briefcase on Amazon is only about $25 and would work well. 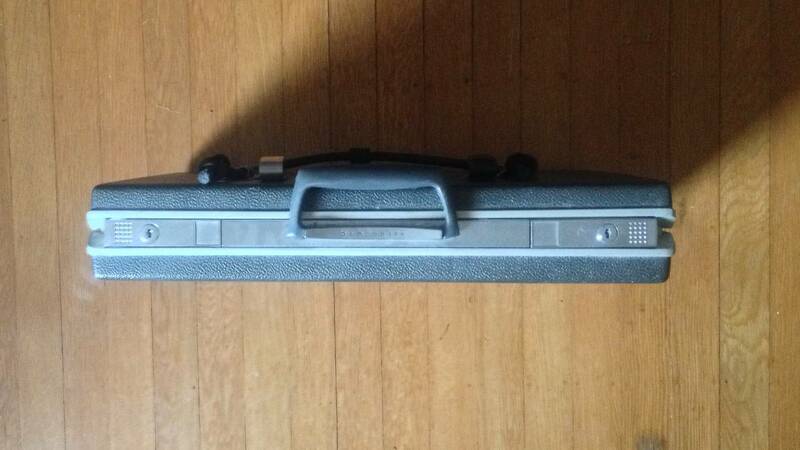 The aluminum briefcase is also $25 and would be even better, though drilling the holes might be a little trickier. A bungee with a hook. It doesn't have to something specifically designed as pannier part — it's just a piece of bungee with a hook in the middle after all — but this replacement part from Axiom is already assembled and less than $5. Two hooks to attach to the back and mount on the rack. Another obvious component but one that was surprisingly tricky to track-down. 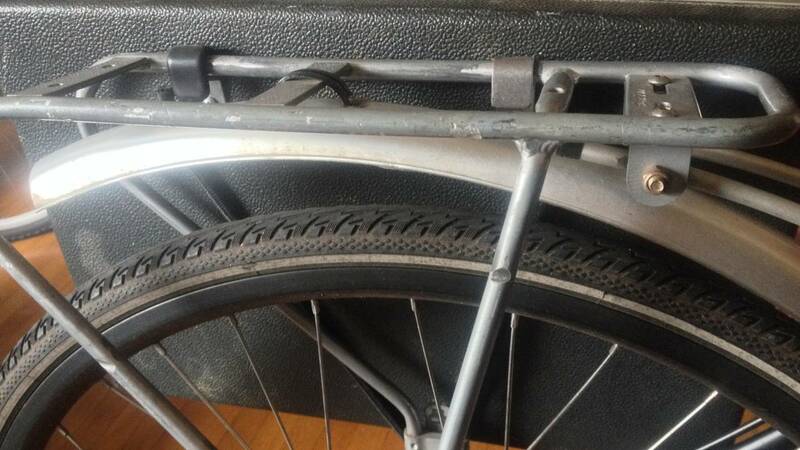 I imagine you could peruse a local hardware store and find something easy to adapt for this purpose, but these pannier hooks by Jandd are what I went with and they fit perfectly. Axiom also offers a replacement hardware hook kit that comes with some additional mounting pieces. A little drilling, screwing, eyeballing and patience. You'll need to drill holes to mount the hooks and you'll also need to create something that the bungee can be anchored to at each end. From the photo above you can see I used two tiny strips of leather. Ta-da! Now when I pull up on my bicycle for meetings with clients in my suit I have luggage to match. 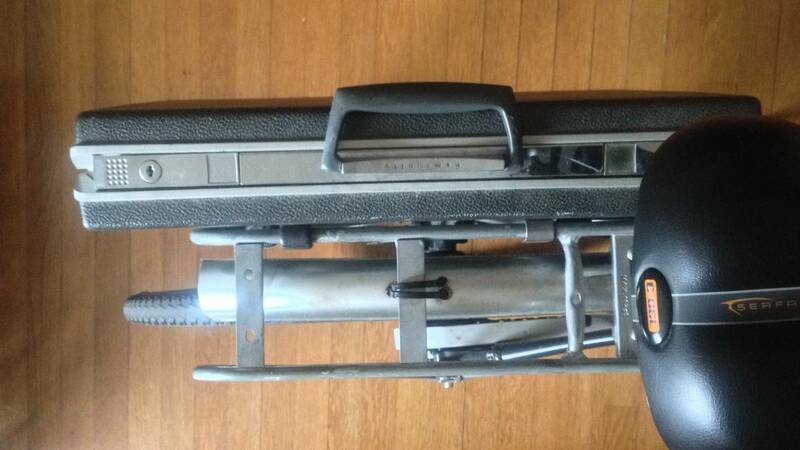 If you've made your own bicycle briefcase I'd love to see it — please send me pictures!